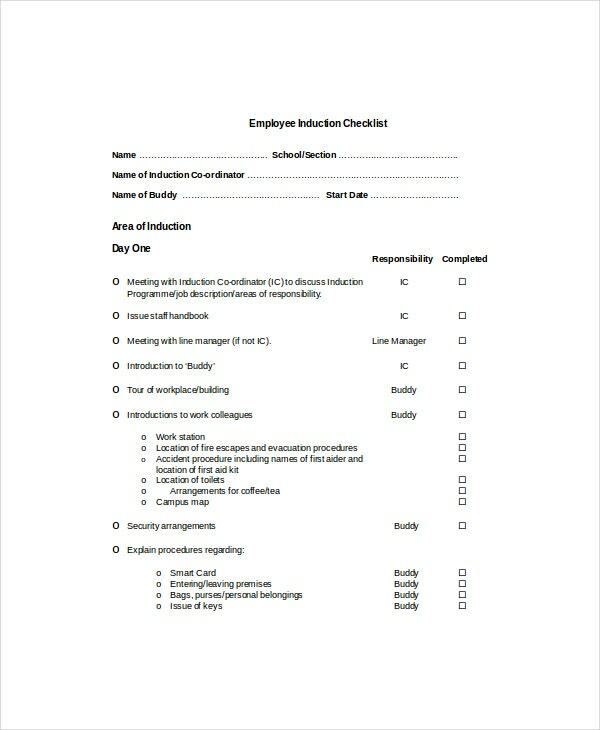 Employee checklists are one of the most popular tools used by management in order to carry out certain procedures. 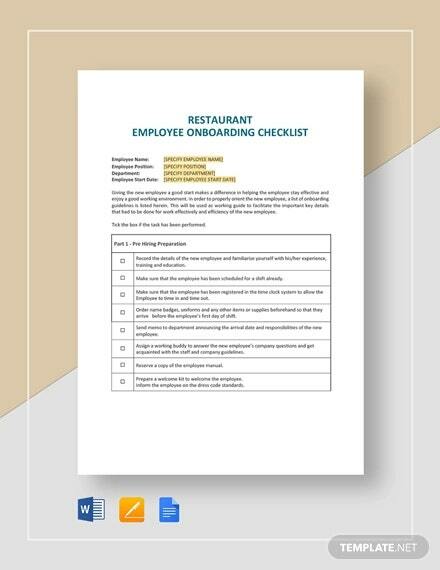 These checklists help supervisors keep a tab on the key details and avoid negligence regarding the processes of onboarding of new employees, employee orientation, and existing employees, as well as task distribution and turnovers. 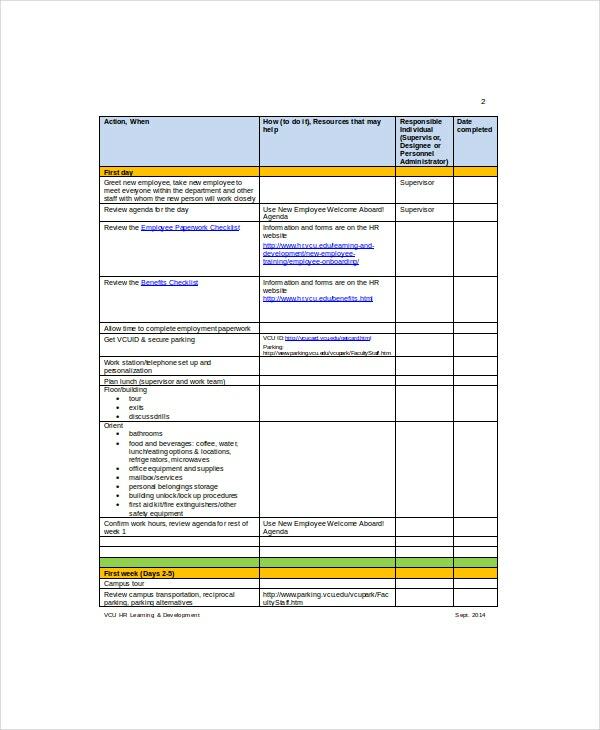 Instead of drafting your own checklist templates, check out these templates we have gathered for you. You can then tailor it to match your requirements. You may also see Checklist Samples. 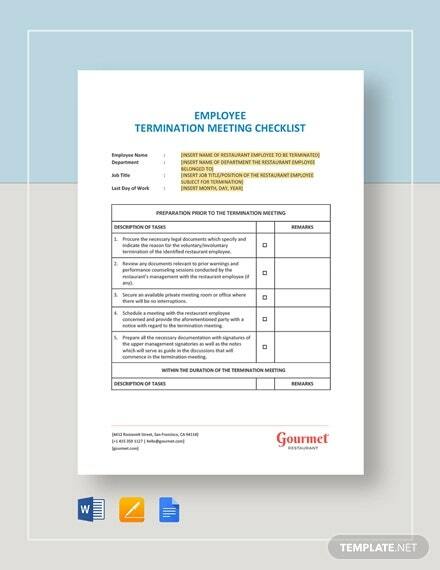 This checklist template is used as a guide for new employees in an organization. It details the things you have to do and be aware of from the first few days before actual onboarding up to the first 90 days of working in the company. This template is to be used by the conducting supervisor. 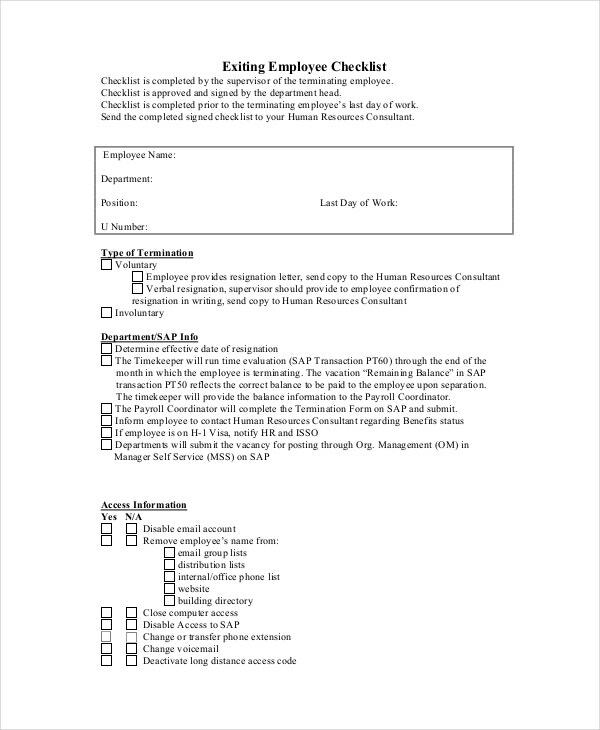 The supervisor interviews the employee regarding the details of his or her exit from the organization and records the responses in the few checklist templates. 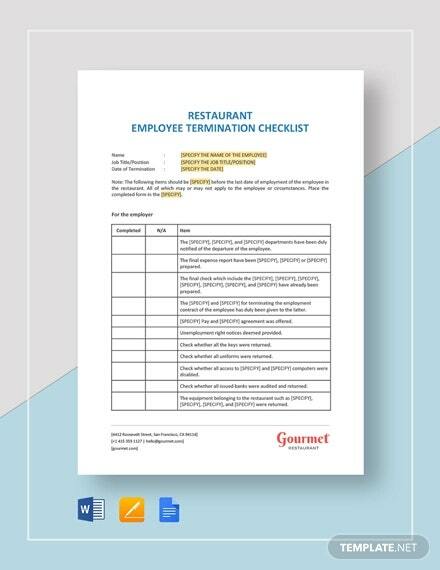 This checklist template is specially built to assess the safety of the venue of the work. 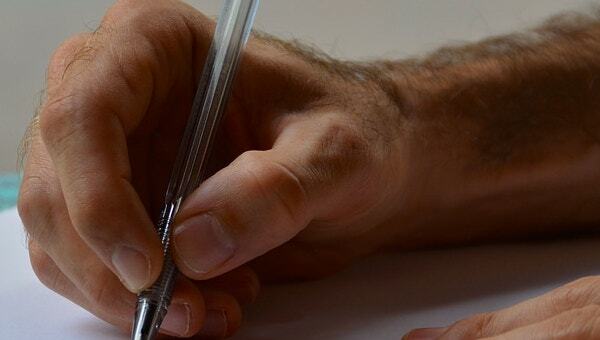 It is a detailed overview of what the employee should expect and deliver in terms of the work. 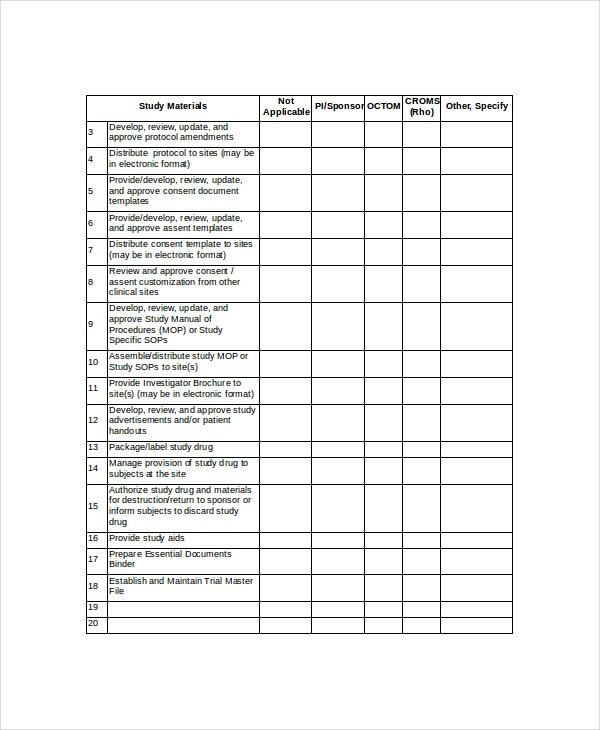 This template aims to specifically identify and designate within a team who will be held accountable and responsible for various key tasks and activities regarding a definite objective. 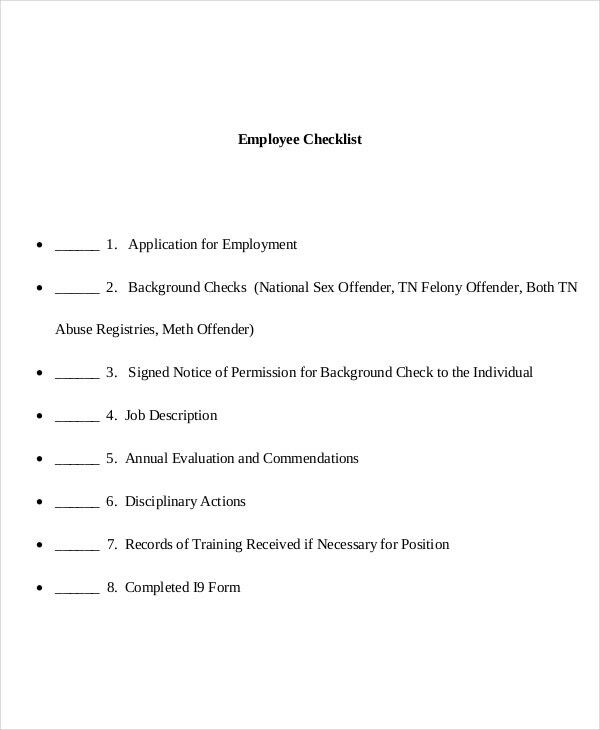 The checklist has detailed entries that allows for a clear setup of individual roles and tasks. 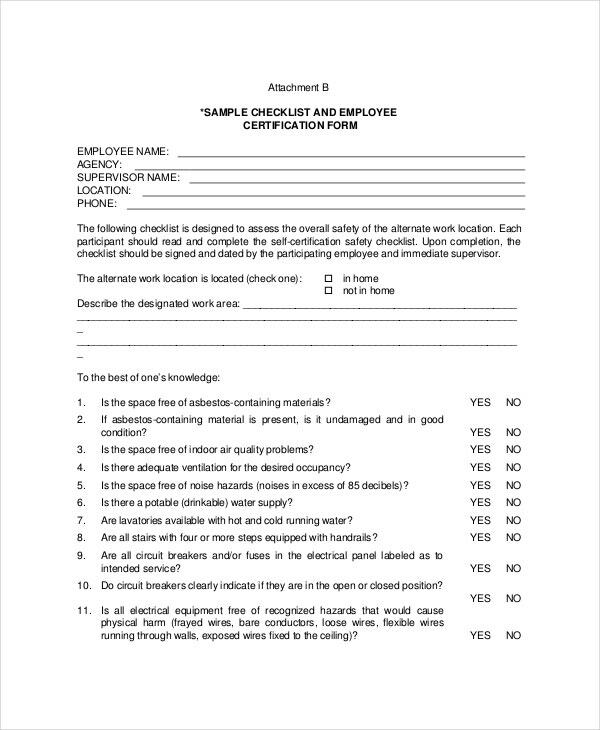 This checklist is used for staff appraisals. 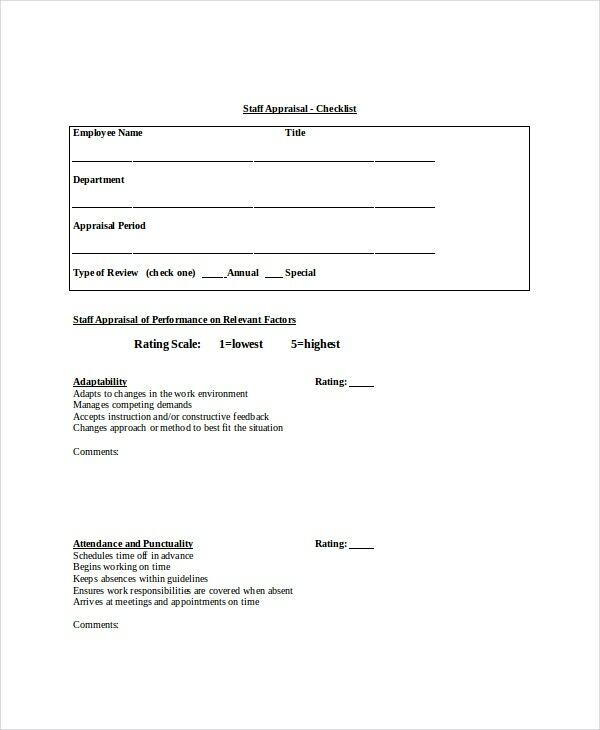 Various distinct guidelines are noted with measurable criteria that can be used for accurate performance appraisals within definite intervals in the department or in the company. You can also see Project Checklist Templates. 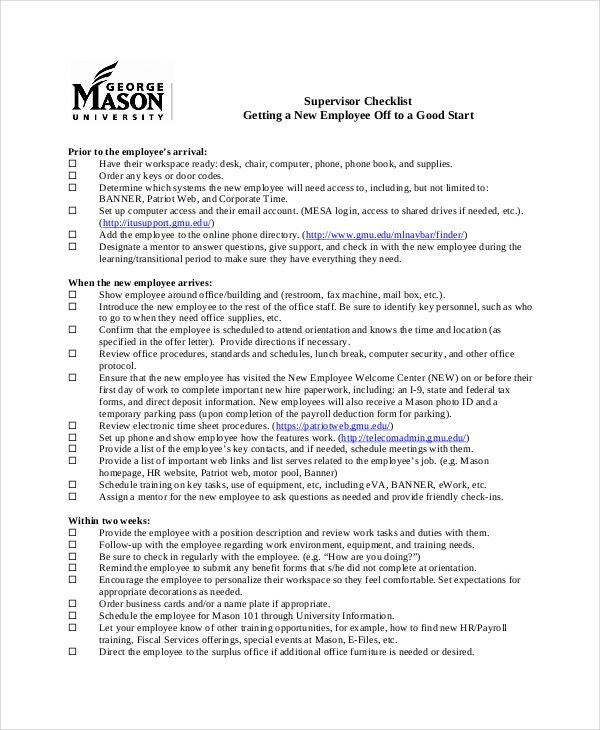 > How do you Provide Feedback to the Employee about Issues not on the Checklist? 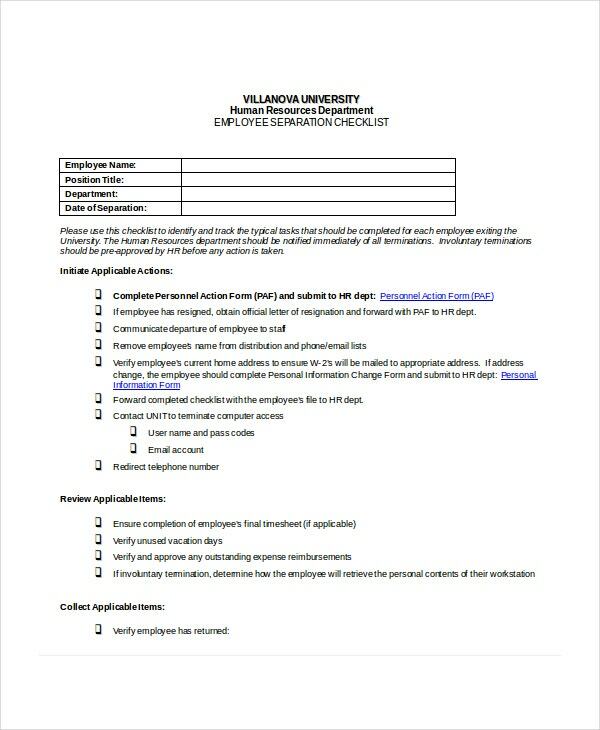 There are cases where some issues and concerns that are crucial to the operation and objectives of the department which might not be included in the teacher checklist. In these situations, supervisors and the employee can set up a short personal meeting to discuss the issues. This allows for free communication between the parties and for faster and easier resolution of an action plan to address the concerns raised. By making the meeting a private appointment, privacy and character integrity is preserved. In cases where personal meetings are not applicable, formal written letters can suffice to get the message across to the employee. 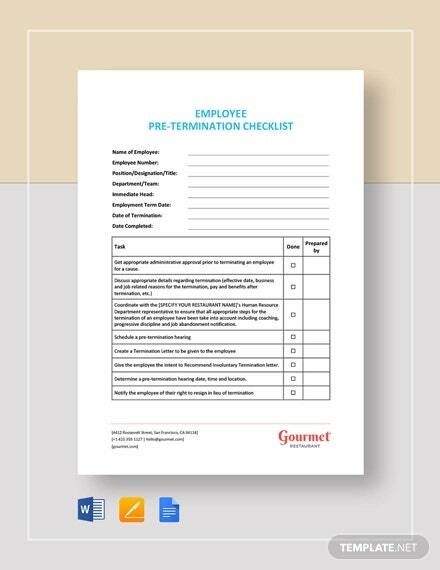 To avoid negligence of key areas that may prove to be crucial in future endeavors of a company, it is best to use checklist templates as guides. This also assures that a definite system is used as a basis and valuable time is also conserved in the process. 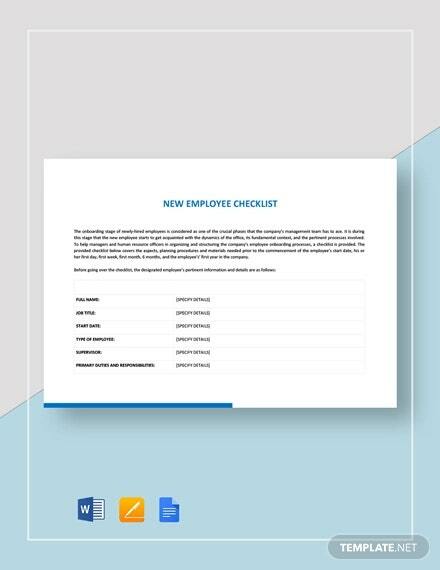 The saved time can then be devoted to expound the template and create more effective checklists.